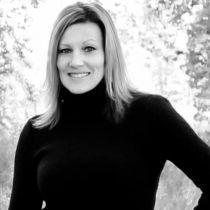 Tennessee based Licensed Professional Counselor, Nikki Ciletti, joined the team of ProvenTherapists for providing online counseling service through ProvenTherapy.com, one of the premier online counseling and psychotherapy portal on the Net. MURFREESBORO, Tenn. - May 22, 2013 - PRLog -- The online counseling and psychotherapy portal for mental health, marriage, and relationship problems https://www.ProvenTherapy.com has a team of more than 80 Professionals, Approved ProvenTherapists, providing healing touch to the troubled hearts and souls through online counseling and psychotherapy services since late 90’s. The professional therapists provide counseling and psychotherapy support through live text chat, live voice chat, and email methods round the clock, seven days a week. Nikki Ciletti, a licensed independant counsellor, psychotherapist, and addiction counselor, is the latest addition to the team of ProvenTherapists who has 15 years of experience in the mental health talk therapy field. Nikki is a licensed Professional Counselor (LPC) and a Certified Addiction Counselor III (CACIII) who has been practicing psychotherapy since 2008. She received her M.Ed. degree in Education and Human Resources and got her B.S in Psychology. She is also qualified as a Licensed Professional School Counselor. Ms. Ciletti has 15 years experience as a Counselor and has specialized in the fields of substance misuse and domestic violence during her long career as a professional therapist. For the past nine years she has been working with teenagers and parents. On therapy, Nikki utilizes a variety of innovative approaches, while tailoring each treatment plan to the individual and incorporating the goals that each person brings to treatment. According to Nikki, each person is unique and that is why she chooses an integrative approach in her work. Most of her work consists of CBT, Solution focused and client centered therapy models. Nikki goes live on https://www.proventherapy.com with her rich experience and strong educational background and training. She claims to provide a safe, comfortable environment where potential clients can freely express their feelings and emotions. Her professional goal is “to empower clients to make positive changes in their emotional, spiritual and behavioral health.” Nikki Ciletti can be contacted through her profile page: https://www.proventherapy.com/Nikki-391.html.